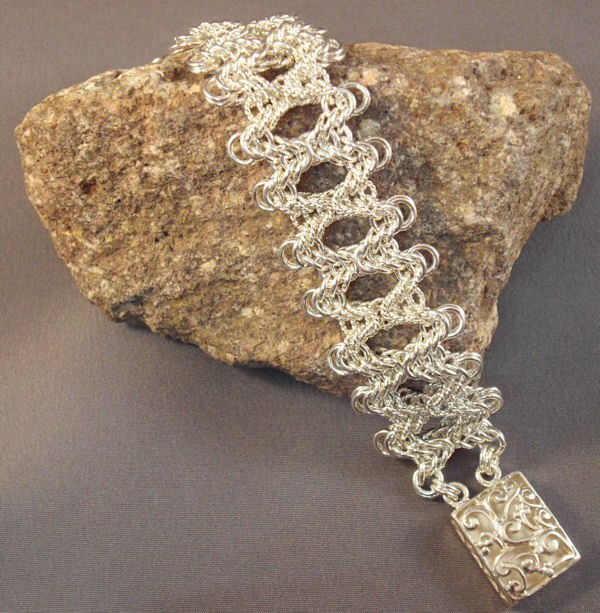 The Majestic Chainmaille Bracelet has a lot of presence on your wrist. It is full of sparkle and shine. You may choose a kit with all smooth rings for one look, or a kit with some twisted rings for a different look. You will enjoy making and wearing this bracelet. It is an intermediate weave. The clasp is not included in the kit.